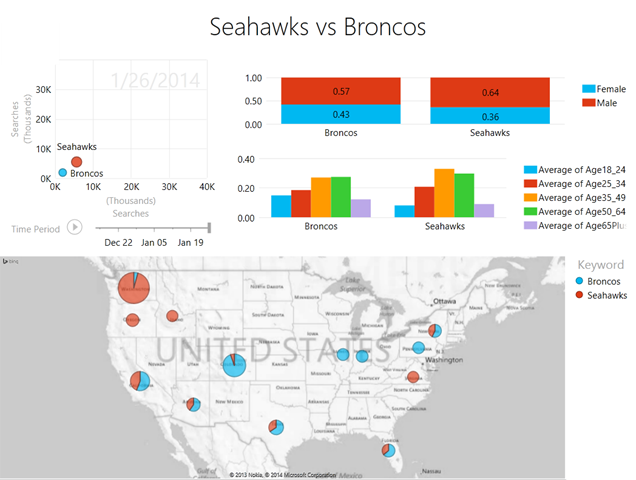 One of our Power BI rockstars, Shish Shridhar (blog and YouTube channel), created some great data visualizations for search terms around the Super Bowl. Shish used different tools such as the Bing Ads Intelligence add-in to compare search trends for the Seattle Seahawks and the Denver Broncos based on volume, location and age bucket for searches. The male/female ratio on the searches for both teams are pretty close but the Seahawks have a higher male ratio at 64% vs the Broncos at 57%. The biggest age group for the Seahawks is 35-49 whereas the Broncos are pretty close across 35-49 & 50-64. The Broncos do have a bigger base under 25. 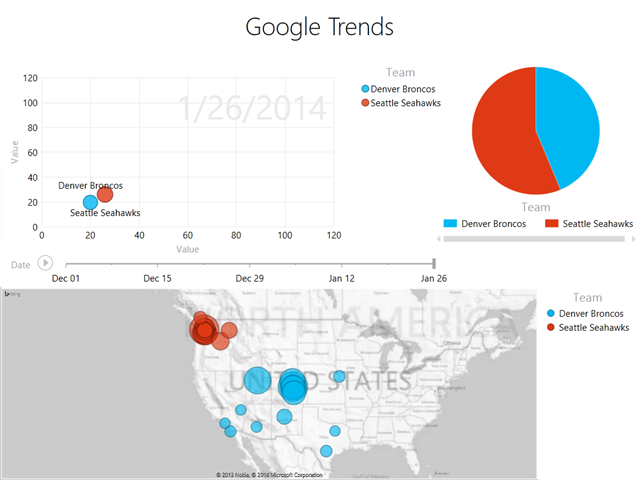 The animation of the search shows a larger volume of search for Seahawks with a massive jump happening after January 19 2014. You can read Shish’s full blog which includes How To information and his actual Excel file if you want to play with it here.